Echternach (Luxembourgish: Iechternach pronounced [ˈiə̯ɕtɐnɑχ]) is a commune with town status in the canton of Echternach, which is part of the district of Grevenmacher, in eastern Luxembourg. Echternach lies near the border with Germany, and is the oldest town (current population 4,610) in Luxembourg. The town grew around the Abbey of Echternach, which was founded in 698 by St Willibrord, an English monk from Ripon, Northumbria (in present-day North Yorkshire, England), who became the first bishop of Utrecht and worked to Christianize the Frisians. As bishop, he was the Echternach monastery's abbot until his death in 739. It is in his honour that the notable Dancing procession of Echternach takes place annually on Whit Tuesday. The river Sauer that flows past the town now forms the border between Luxembourg and Germany; in the later Roman Empire and under the Merovingians by contrast, the Sauer did not form a border or march in this area. The Roman villa at Echternach (traces of which were rediscovered in 1975) was reputed to be the largest North of the Alps. 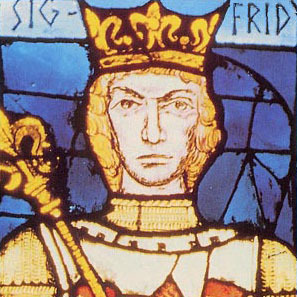 It was later part of the Electorate of Trier (present-day Germany) and was presented to Willibrord by Irmina (Irmine), daughter of Dagobert II, king of the Franks. Other parts of the Merovingians' Roman inheritance were presented to the Abbey by king of the Franks Pepin the Short. Echternach continued to have royal patronage from the house of Charlemagne. Though the monks were displaced by the canons of the bishop of Trier between 859 and 971, and although Willibrord's buildings burned down in 1017, the Romanesque basilica, with its symmetrical towers, to this day houses Willibrord's tomb in its crypt. The abbey's library and scriptorium had a European reputation. As it flourished, the town of Echternach grew around the abbey's outer walls and was granted a city charter in 1236. The abbey was rebuilt in a handsome Baroque style in 1737. In 1797, in the wake of the French Revolution, the monks were dispersed and the abbey's contents and its famous library were auctioned off. Some of the library's early manuscripts, such as the famous Echternach Gospels, are now in the Bibliothèque Nationale in Paris. In the 19th century, a porcelain factory was established in the abbey and the town declined, until the advent of the railroad brought renewed life and an influx of tourists. During the concluding months of World War II in Europe, on December 16, 1944, Echternach served as the southernmost point on the battlefront for the attempt of the German Wehrmacht forces attacking the Allies to retake Antwerp, during the Battle of the Bulge. The town was badly damaged in World War II, but was thoroughly restored. There are two main churches in Echternach. The larger is the Abbey's Basilica of St Willibrord, now surrounded by the eighteenth-century abbey (today a high school) and is located in the heart of the town's historical centre. The other is the parish church of St Peter and Paul. The nearby Prehistory Museum traces mankind's history over the past one million years. Close to Echternach lies the Echternach lake which hosts several activities every year, like the e-Lake music festival or the "Mill Man Trail" bike race. Since 1975, Echternach has been the site of an International Music Festival, held annually in May and June. Joseph-Alexandre Müller (1854–1931) a Luxembourg composer. Artur Sirk (1900 in Pruuna, Estonia – 1937 in Echternach) an Estonian political and military figure. Caspar Mathias Spoo (1837–1914) a Luxembourgish industrialist and politician. ^ "Musée de préhistoire". Retrieved 7 March 2011. Wikivoyage has a travel guide for Echternach. Henry IV, called the Blind, was count of Luxembourg from 1136 until his death and count of Namur from 1139 until his abdication in 1189. 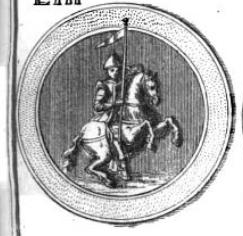 He was the son of Godfrey I, Count of Namur and Ermesinde, a daughter of Conrad I of Luxembourg. The Trier Gospels is a Gospel book that contains the works and illustration of: Matthew, Mark, Luke, and John. The Trier Gospels was written by two scribes between the years 720 and 740 A.D. in Echternach Abbey The gospel is currently located at Trier Cathedral Treasury.